Deciphering my COA... sport seats? tail? Picked up an 80 SC a few weeks ago from a local PCA member. There wasn't much history on the car nor records and although the seller owned the car for 14 years, his knowledge was a bit light. 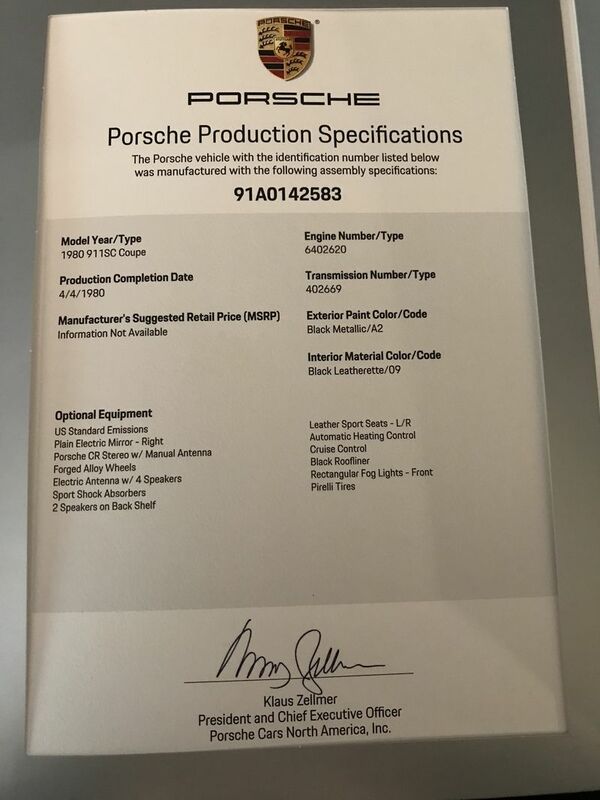 The day I bought it I ordered a COA from Porsche and it arrived yesterday. It's attached. It says I should have sport seats, no? And no mention of a "rear spoiler", so curious if the car was an original no tail car? Pics attached of those items. Although many COAs are inaccurate, I have found them to be spot-on when it comes to sports seats. How many previous owners? Do you have the info to contact them? Tails were a popular aftermarket addition in the 80s and 90s- even today owners love them or hate them. 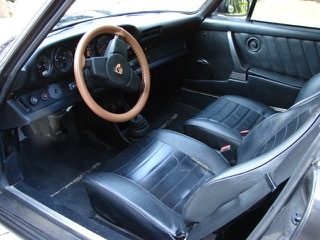 Sports seats often had worn edges and they are heavy- easy replacement which is probably what happened to your car. The correct sport seats are often for sale- pick up a correct set for your car. Last edited by speedster911; 09-12-2018 at 07:34 AM..
COA are known to not be 100% accurate. Sport seats could have been swapped out and spoiler added as well. My COA on my 1978 SC was actually spot on but others have found inconsistencies with them over the years. it is not uncommon for these cars to have been modified and/or canabalized through the years. Bolting on "tea tray" tails (aka "turbo spoiler") was a very common modification. People are still doing it to this day. More than likely the sport seats were sold/re-purposed by one of the PO's. They are pretty desirable. Probably a bunch of other non-original parts on the car too. Don't sweat it. As long as it runs and stops, just drive it and enjoy it. I bought it from an Allen Rodgers in Ohio. He owned it for 14 years and previous owner was Craig L Manner from Georgia, currently living in North Carolina from what I found. Couldn't find a good number or email for him. And the car doesn't have a 17 digit VIN so couldn't run a Carfax. So sounds like the car did have Sport Seats that were replaced for one reason or another? I like the tail and am not trying to necessarily make it 100% original, but just curious as to the history. 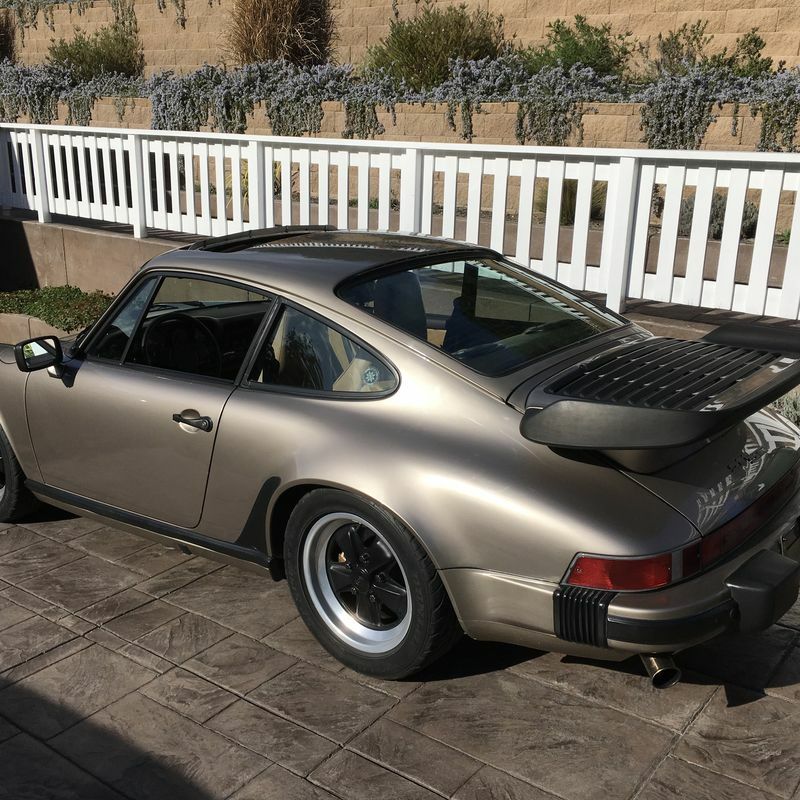 Is the current tail that one that would have came on a 1980 had it been ordered with one? 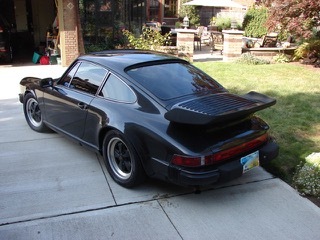 Or is this the turbo spoiler you are speaking of? Making it 100% for sure not original even if the COA says it didn't have one? Yes, the tail is correct for that year if they came from the factory. Same tail "tea tray" as the turbos of the same era. Here's my factory ordered tail on my 82 for reference. I haven't seen a summary of the relative weight comparo. Here's my stab at it for the G series. I'm quite sure the 81-84 sports seats are lighter than the motorized 85-89 seats or the older 74-80 sport seats. The standard seats are just a guess.